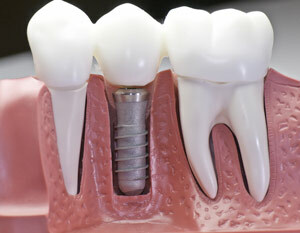 Over the past decade, dental implants have become the standard of care for tooth replacement. The artificial dental implant root is placed directly into the area where the natural tooth once stood. Gradually the jaw forms new bone (a process called osseointegration) until the dental implant is secured permanently in place. Dental implants can be used to support porcelain crowns, multiple tooth dental bridges and even fixed dentures. A successful dental implant procedure greatly depends on the health and commitment of the patient. For instance, patients must have fairly healthy bone levels, stable health and limit tobacco use. This promotes healthy placement and healing, for the best long-term results. 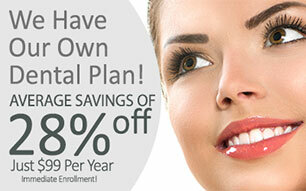 In most cases dental implants can last an entire lifetime! When completed, dental implants can support even more weight than a real tooth. The procedure typically requires multiple visits involving the surgical placement, a period of healing, abutment installation and then delivery of the fixed restoration. Osseointegration usually requires 3-6 months of undisturbed healing time. 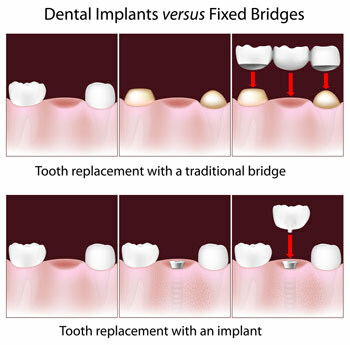 When completed, dental implants can support even more weight than a real tooth. Streamline Dental Solutions offers comprehensive dental implant therapy to patients in Blacksburg. Whether you want to replace one tooth or replace them all, we invite you to set up a no-hassle consultation with one of our dental implant dentists today.